Born into a Jewish family in Cracow, Gotlib studied at the Cracow Academy of Art from 1908-10, continued his studies at the Kunstgewerbeschule in Vienna (1911–13), then travelled widely in Italy, Greece and Spain. He developed an aesthetic affinity with various Polish avant-garde groups during the 1920s, before developing what he called the “vision thing”, with colour and form at the core of his art. He was greatly influenced by Rembrandt, and the European Expressionist painters. 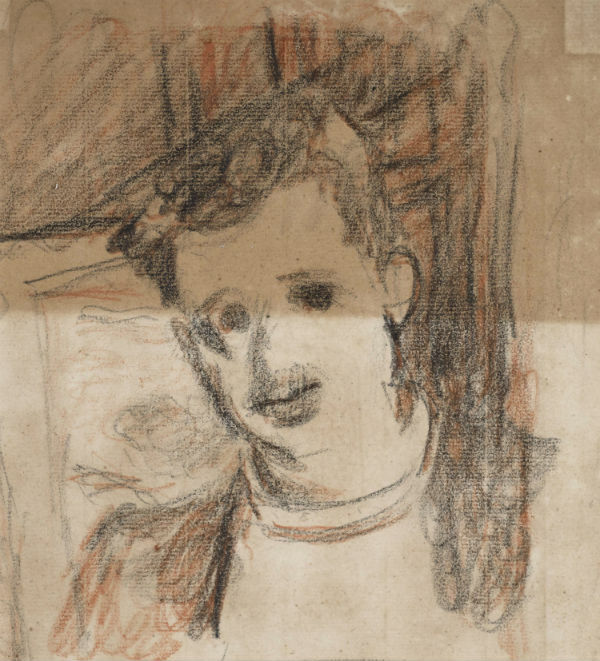 This portrait sketch dates from Gotlib's early years in England and was made in the same year as he published his volume on Polish painting.